The roots of amateur flying in the Kouvola region go back to the time before the Second World War, when Kouvola Flying Club was founded. The club had strong links with the then Finnish Air Defence Association, and the club ceased its activities in 1948. However, in the 1950s glider flying became increasingly popular, already making Utti military airfield (EFUT), which served as a base towards the end of the decade, one of the most active centres of glider flying in Finland. Gradually, establishing a local flying club became once more a current issue, and Kouvola Flying Association was founded on 4 July 1960. In the 1960s the Finnish Defence Forces unexpectedly banned amateur flying on Utti airfield, a great shock to amateur fliers. However, the ban led to the creation of several new flying bases. On the other hand, the amateur fliers of Kymenlaakso region, who had hitherto pulled together, went their separate ways, with a number of clubs operating each from its own airfield. Kouvola Flying Association concluded an agreement with the defence forces about renting Selänpää military airfield, a strip some 30 kilometres north of Kouvola that had largely reverted to forest, as its new flying base. In the course of diligent construction activities that have required a great deal of effort Selänpää airfield (EFSE) has, in the last few decades, established itself as the association's home base. At the same time the association has regained the status, momentarily lost, of representing one of the most active centres of glider flying in Finland. One indicator of the current level of activities are the two world glider flying championships won by one of its members, Markku Kuittinen. Moreover, in 1998 Finnish Aeronautical Association voted it its 1998 training association. It was also in1998 that the association decided, to better reflect the geographical distribution of its membership, to change its name to Kouvola Region Flying Association. It has some 150 members, of which 50-60 are active fliers. 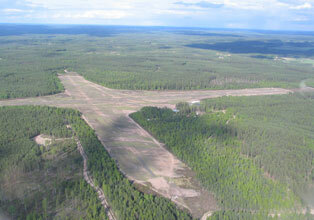 Selänpää airfield has been constructed to serve amateur fliers. There are two hangars with service facilities, a cafeteria, a barbecue pit, accommodation and, as an essential aspect of the Finnish way of life, a sauna building. There are two runways, an asphalt 12/30 and a gravelled 04/22, both 1100 metres long. The flying season begins in May and lasts until October. In winter the airfield is closed. The association owns two two-seater training gliders, four one-seater practice gliders and two performance and competition gliders. 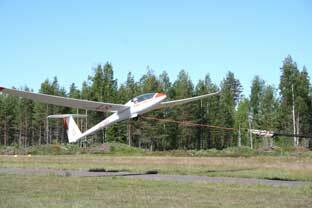 In addition to these sailplanes, the membership has also access to two motor sailplanes. Apart from the association's own aircraft, Selänpää is the home base of several private and jointly owned aircraft. In summer the field fills also with visiting aircraft from other clubs, hanggliders, and people flying model aeroplanes. Ascent is mainly by winching. 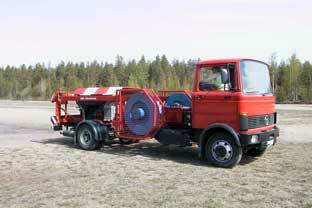 In 1998 the club acquired a new winch from Germany (Jütte Dieselwinde), which has been called the best of its kind that money can buy.